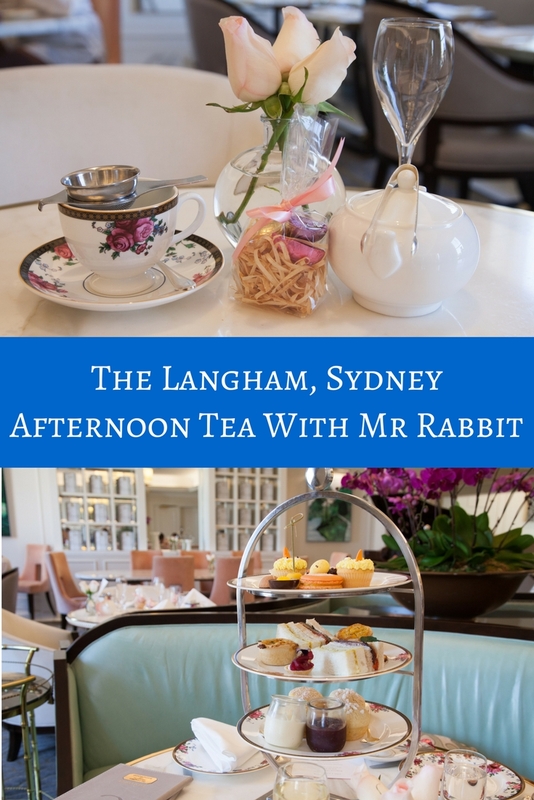 The Langham Sydney: Afternoon Tea With Mr Rabbit - Adventure, baby! 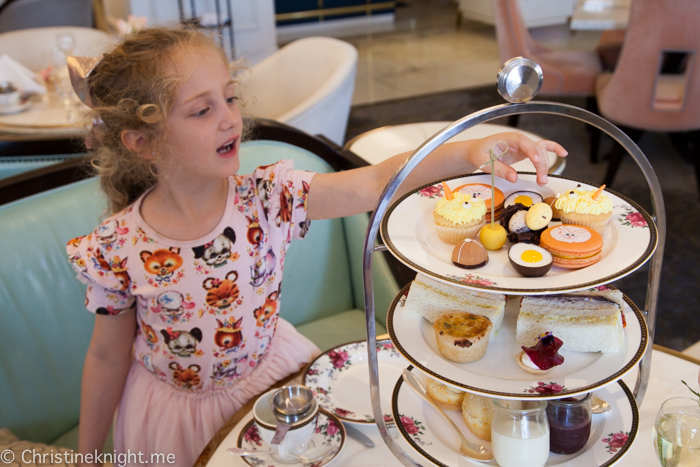 This Easter, take Sydney kids to the Langham to experience an elegant Afternoon Tea with Mr Rabbit. 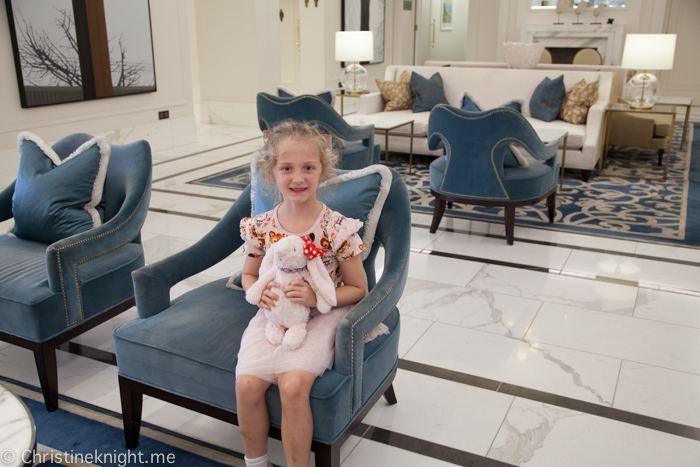 We love the Langham. 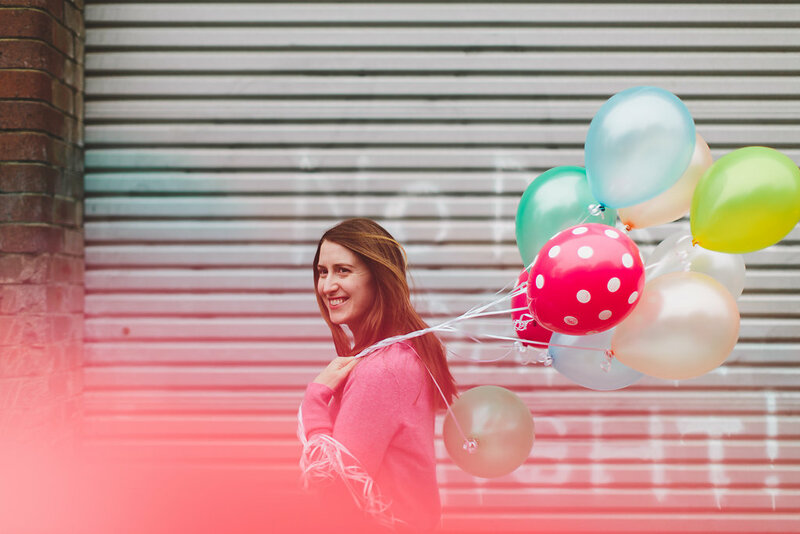 It’s been our go-to hotel for a touch of luxury in Sydney since we were dating and Cheese was just a twinkle in our eyes. 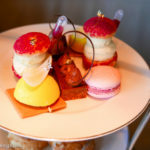 The Langham, Sydney has always put on a gorgeous high tea that we enjoy but, when there’s a special theme involved, like Easter, it’s always just that bit extra special. 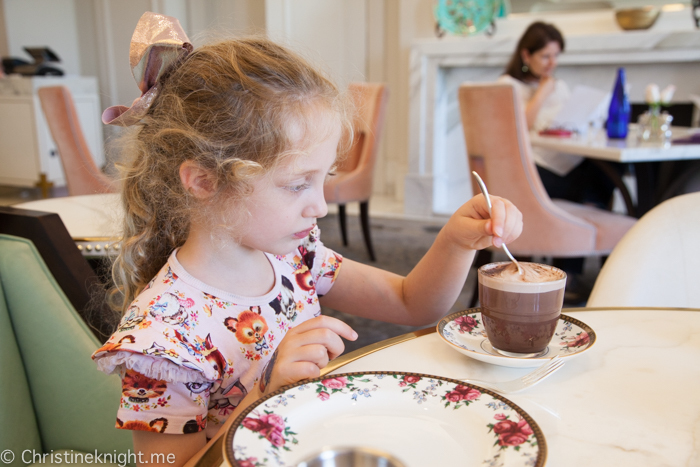 Until the 31st of March, families can enjoy a rabbit warren of Easter delights in the ever-so-elegant Palm Court at the Langham, Sydney. 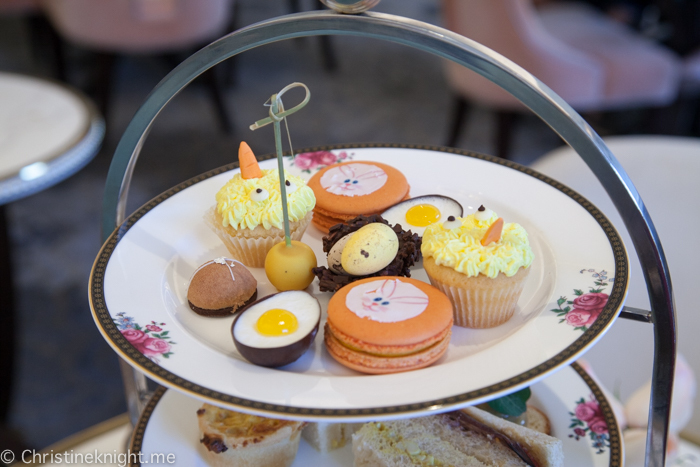 The Afternoon Tea with Mr Rabbit is a beautiful treat to enjoy during the Easter season. 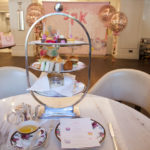 It includes three tiers of savoury and sweet food and a little Easter gift to take home. 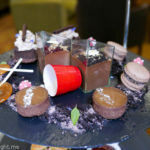 Included in the high tea is your choice of tea, coffee or a hot chocolate. 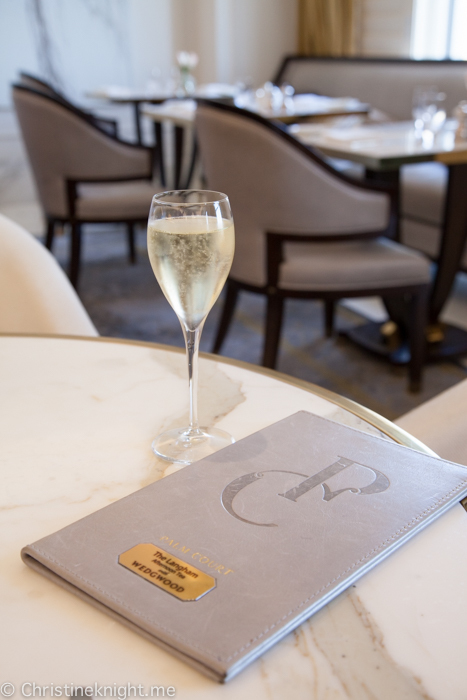 The food and service were impeccable as always. 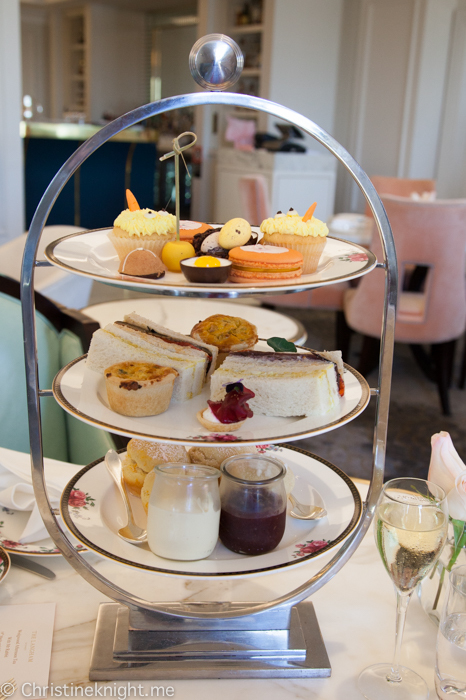 The scones fresh from the oven as well as large and fluffy, and the ribbon sandwiches divine. 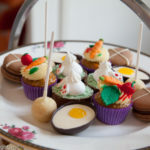 We adored the attention to detail in the sweets and particularly loved the bonbon and coconut and orange egg. 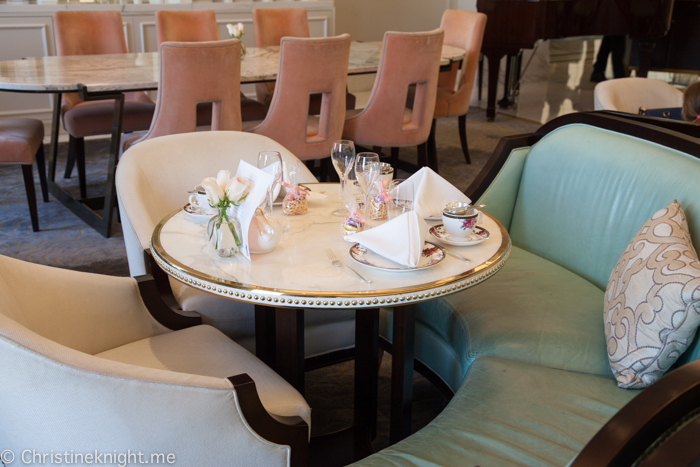 Seated in the elegant Palm Court, Cheese remarked to me that the hotel is “so pretty” and “beautiful” (that it is!). 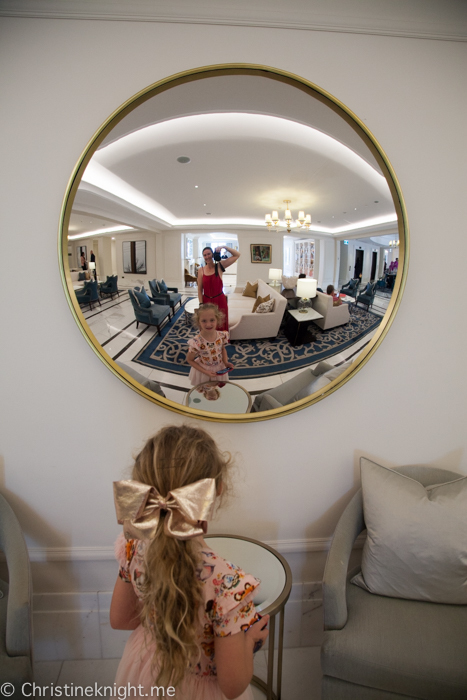 You might think such a refined establishment might not be the best place to take kids, but I would say the opposite – that if you expose kids to beautiful things and environments where the expectation is that they will sit quietly, even if while they are sitting they are drawing or playing a game, that they will learn to appreciate and to behave in different settings. 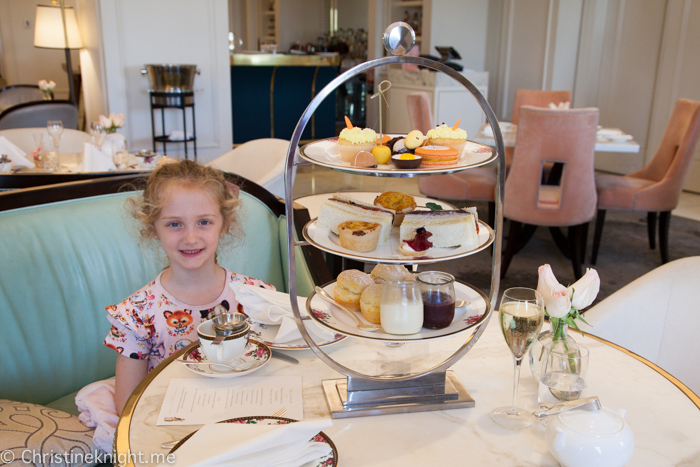 I was once a nervous parent who took her baby, then toddler and preschooler to high tea and prepared for the worst – which invariably did happen. Crying, tears, tantrums, the works. 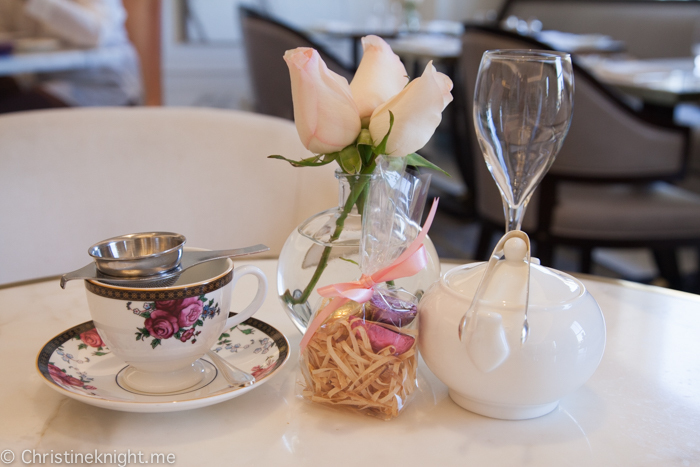 This high tea outing I really realised how far we’ve come together as Cheese and I walked around the lobby with her taking pictures of the “amazing painting” and “gorgeous flowers”, and as we read through the tea menu together to see which kind of tea we would try. 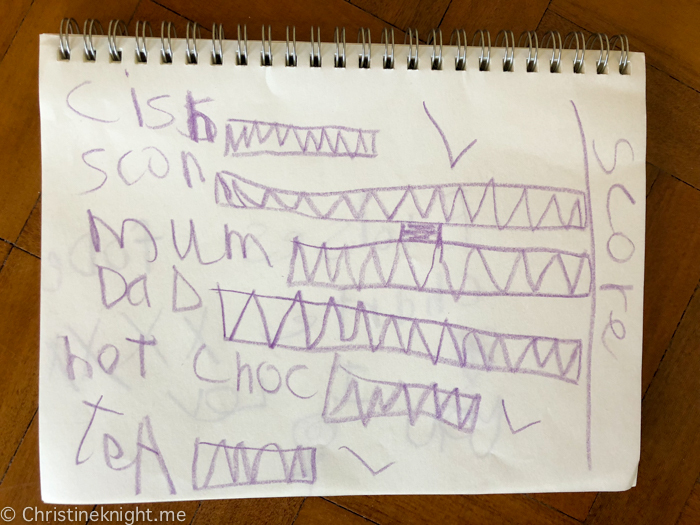 After the tea was finished Cheese made a score chart of what items she liked the most, which the chefs apparently found hilarious when they saw it later. 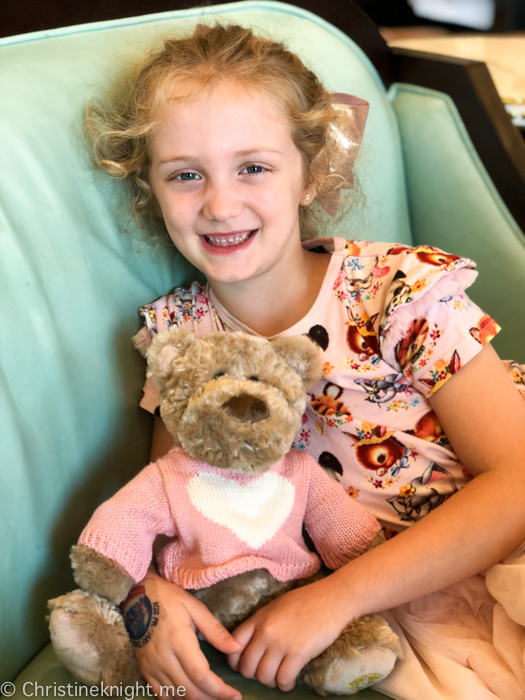 She ranked the scones as highly as her love for her parents (say what!! ), followed by the quiche, tea and hot chocolate. 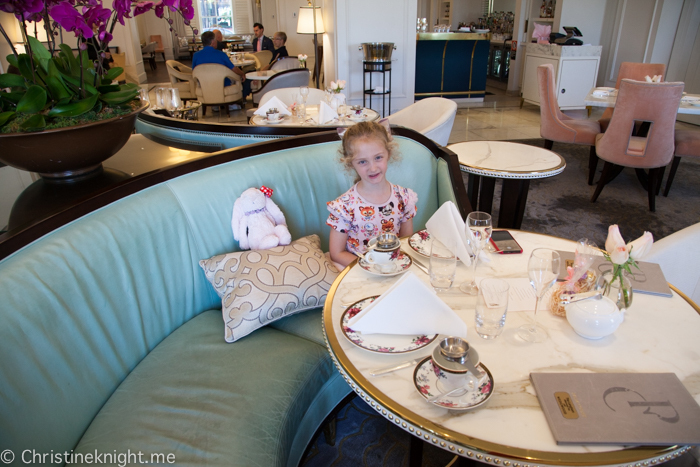 I think we have another high tea connoisseur in the family! 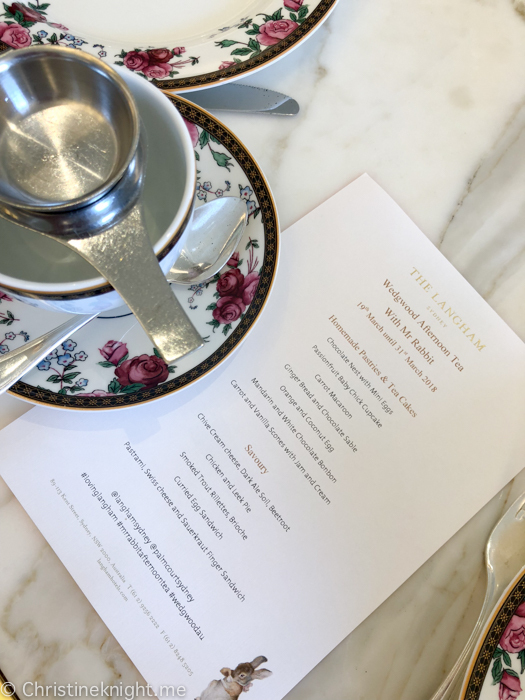 The Langham, Sydney is also putting on an Easter Sunday Buffet Lunch on Sunday 1st April 2018. 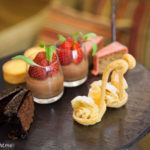 The lunch features a buffet spread, including a chocolate fountain, and the hotel lobby will transform into an Easter wonderland with colourful chocolate egg displays. 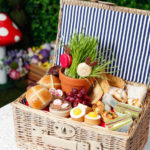 Guests also receive their very own Easter gift to take home on departure. 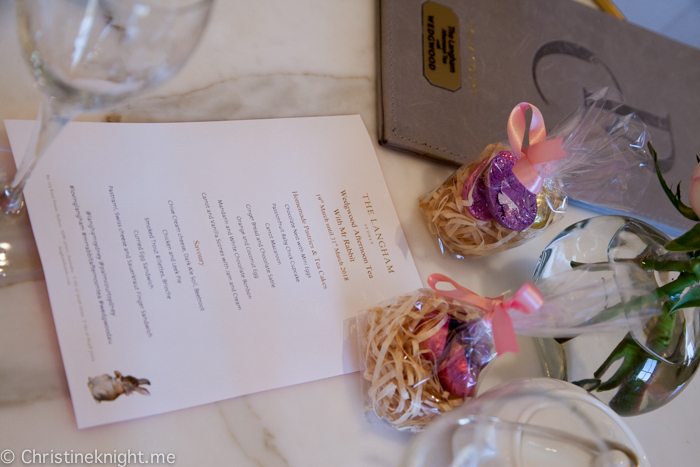 Get more info on Easter at the Langham, Sydney here. 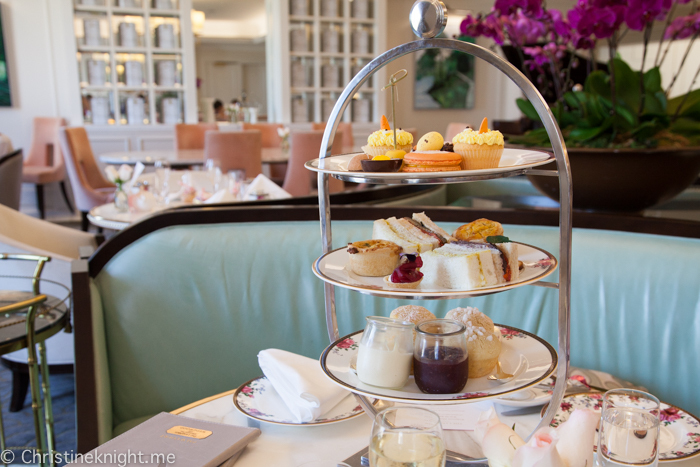 Read about the Afternoon Tea with Wedgewood offered by the Langham, Sydney here. Thinking of staying the night? 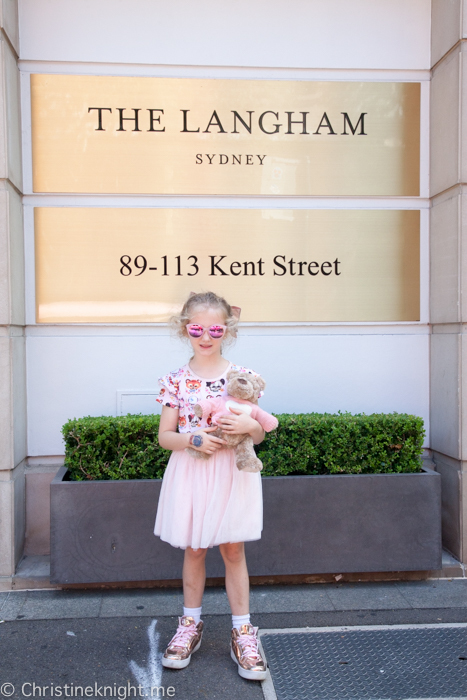 Read our hotel review of the Langham Sydney here. 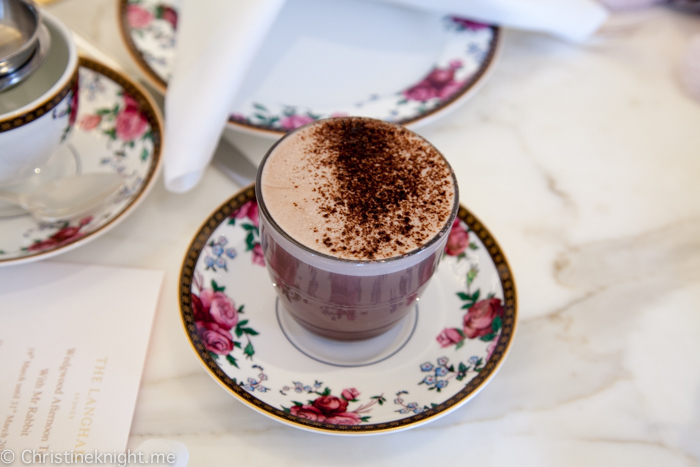 Find more high teas in Sydney here. 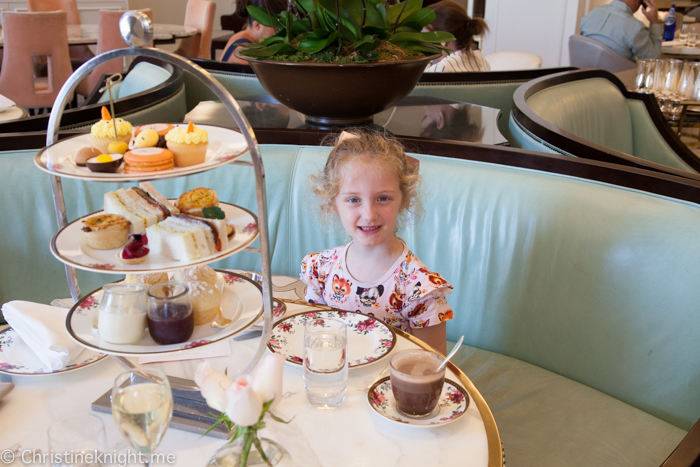 We were hosted at by the Langham, Sydney for our afternoon tea. All opinions are our own.